The largest soccer stadiums in the world. Some are among the most famous names in the world, including Wembley and the Nou Camp but some I’m pretty sure you haven’t heard of. Asia are the dominant continent on this list with five stadiums, including the top two. Africa have two stadiums, Europe two more (the most famous on this list) and one stadium from Mexico, representing the Americas. 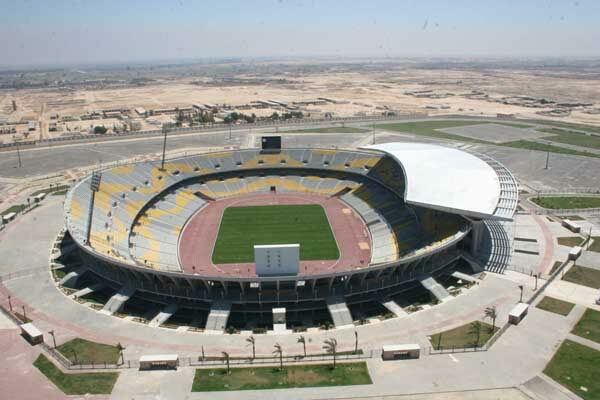 Built in 2007, the Borg El Arab stadium is named for the resort town it resides in, 50 kilometers West of Alexandria. It is the second largest stadium in Africa, and was built during the Egyptian hope of landing the 2010 FIFA World Cup a few years ago, unsuccessfully. It also joins Cairo and Giza as venues that the Egyptian national team plays in. Officially known as the Gelora Bung Karno Main Stadium, or the GBK (much easier, huh? 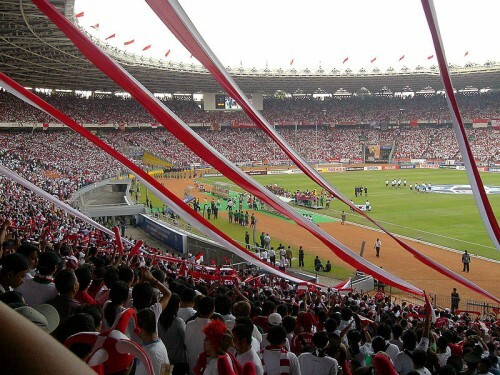 ), it’s used as the main hub for Indonesian soccer – The national team, cup finals, Tiger Cup matches and also the home stadium of Persija Jakarta. Maybe the most famous soccer or maybe sports venue in the world, Wembley, or the new Wembley stadium to some, is the second largest soccer venue in Europe and the largest in the world with every seat under cover. 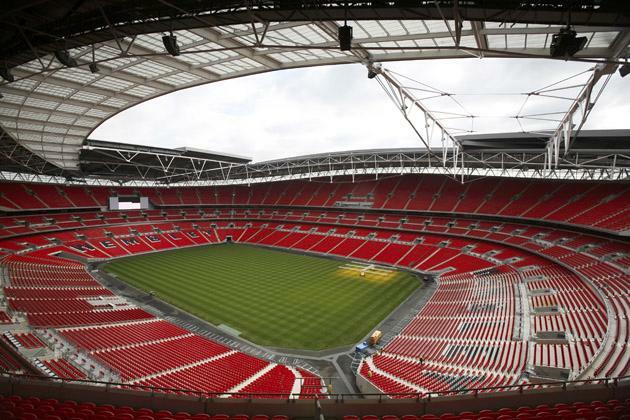 England national team plays at Wembley and the stadium also hosts the FA Cup Final and the Football league playoffs. It was opened in 2007, with the first official match taking place there was between the U-21 teams of England and Italy. It is also the most expensive stadium ever built, with the cost estimated at around 800 million pounds. 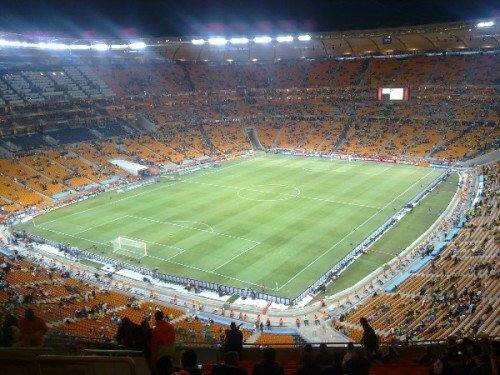 Mostly known as Soccer City, the stadium which has been around since the late 80’s was renovated and expanded before the 2010 FIFA World Cup, hosting eight matches, including the opener and the final, during the tournament just over a year ago. It hosts the matches of the national team and big league matches (Orlando Pirates vs Kaizer Chiefs) and Cup Finals. 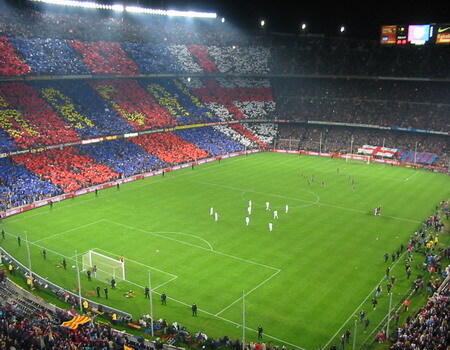 The Camp Nou , or Nou Camp, is the biggest soccer stadium in Europe and famously the home of FC Barcelona. Built in 1957 as tge club outgrew it’s old stadium, the Camp Nou, back when standing sections were still allowed could hold more than 105,000 fans. The 1999 champions league final that saw Manchester United complete an amazing last minute comeback against Bayern Munich was played there, along with the 1989 final, the 1992 Olympics final and the opening match of the 1982 World Cup. 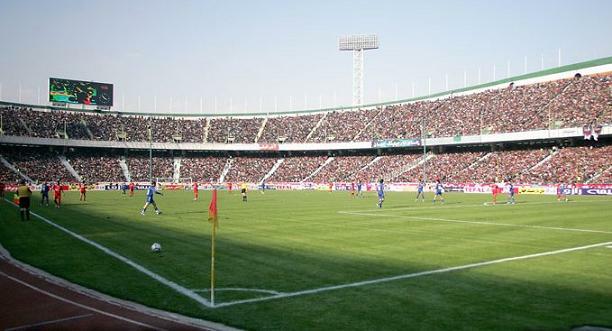 Considered to be one of the most intimidating venues in the world for visiting teams, Azadi Stadium is home to the Iranian national team and also to Perespolis FC and Esteghlal FC, the biggest clubs in Iran and the two have one of the most heated and intense rivalries in the world, also known as the Sorkhabi derby, which is played of course at Azadi. 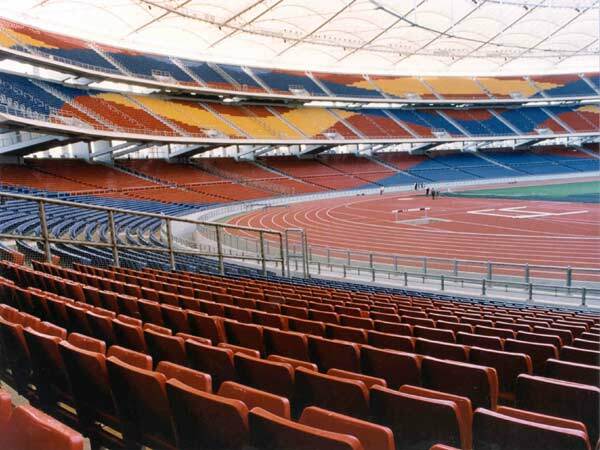 The multi purpose stadium in Kuala Lumpur was opened in 1998 for the Commonwealth games but today is the home of the Malaysian national team and most recently was among the stadiums used in the 2007 Asian Cup. 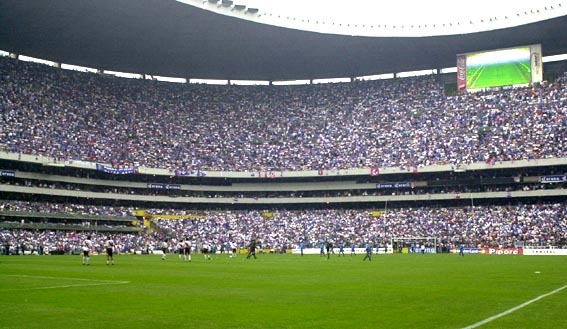 The only stadium to host two World Cup Finals (1970 with Brazil and Italy and 1986 with West Germany and Argentina), the Azteca in Mexico City is the biggest soccer stadium in the Americas and is home to the Mexican national team and Club America. One of the biggest multi purpose stadiums in the world and the largest in India, Salt Lake Stadium is home to the two Kolkata clubs East Bengal and Mohun Bagan, with their famous derby match played in the stadium. 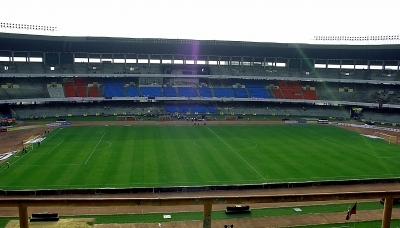 The Indian national team also plays many of the home games at the Yuva Bharati Krirangan. Although it’s mostly known for the Mass Games, it is also used for soccer matches, and it is the biggest stadium in the world not used for Auto Racing. It can hold up to 150,000 spectators and the North Korean soccer team occasionally plays there. It is also known for hosting the execution of a number of North Korean army generals implicated in an assassination attempt on Kim Jong-il, by being burned alive.